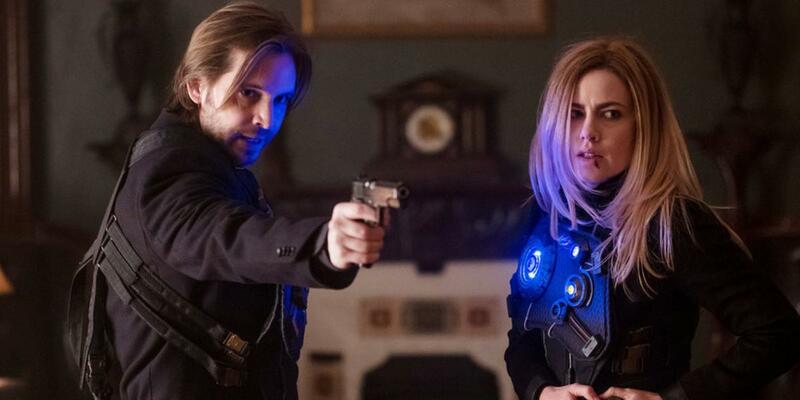 As we enter the dog days of summer and you contemplate what television show to watch next, consider that you may have missed one of the finest science fiction stories of the decade: Syfy’s 12 Monkeys. 12 Monkeys, loosely based on the 1995 film of the same name and the 1962 French short film La Jetee, recently completed its fourth and final season with one of television’s all-time greatest finales. It is a series that I always enjoyed watching because of its wonderful performances and writing. However, now that the series finale has aired, I am realizing in retrospect just how special this television series is, not only as a part of the current renaissance of science fiction, but also as a masterpiece of television storytelling. And, in the tradition of some of the finest television dramas, such as The Sopranos or The Leftovers, the ending serves as a Rorschach test for the audience and elevates the entire series. On the surface, the framework of 12 Monkeys seems straightforward: the protagonists use a time machine to attempt to prevent a pandemic that ends the world. However, that is only where the story begins. Watching 12 Monkeys is like reading a novel that deftly balances a complex plot, an entirely original mythology, multifaceted characters that you will come to love with all your heart, challenging moral dilemmas, and, like all truly great science fiction, examines thought provoking concepts about the essence of the human condition. With genre television often comes a highly conceptual and complicated plot — and the risk that a show will either be cancelled or fail to execute on its promise. 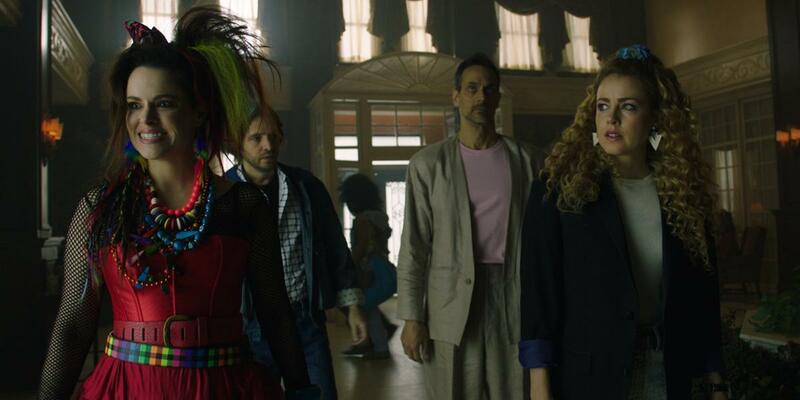 The story of 12 Monkeys includes a plague-induced apocalyptic hellscape, the science of time travel, and a shadowy conspiracy intent on destroying the fabric of time. In other words, it’s complicated. But rest assured that with 12 Monkeys, the viewer is safely in the steady hands of Terry Matalas et al. The drama is steered by clear eyed storytellers with vision and a meticulous, loving attention to detail. An initial watch promises a tension filled thrill ride with shocking twists on par with dramas such as Lost or Alias. However, once the viewer reaches the end of the story, the satisfying culmination of endless time loops and clues will make you want to begin again and appreciate the layers and foreshadowing that were built into the narrative as early as season 1. A line of dialogue that seemed random in season 1 proves to be of the utmost significance in season 4. The import of a collection of characters who happen to be in a room together early in the series will be viewed in an entirely new light by the end. A scene that brought you to tears on first viewing will do so again, but for an entirely different reason on rewatch. This is a story that always knew where it was going and executed that vision nearly flawlessly. All your questions will be answered. But those answers will leave you in awe and wanting to begin the story again. In a show that balances time loops that could fill a college lecture hall whiteboard and a mythology that spans centuries, one might fear that the characters might get lost in the shuffle. And yet, what sets 12 Monkeys apart from other genre shows, is that despite this complexity, it is a character driven drama. In season 1, a character states that “[e]veryone’s got two wolves inside them. One is anger, envy, pride. The other…truth, kindness. Every day they tear each other apart. But it’s not the better wolf that wins. It’s the one you feed.” This is perhaps the best articulation of each character’s journey on the show. Character arcs follow logical and yet emotionally turbulent paths as characters face impossible moral choices and painful challenges to their personal allegiances. Their concepts of right and wrong evolve as their personal relationships develop or devolve and the story always takes the time to allow characters to speak about these conflicts out loud. The result is a story that, while sometimes hurtling at breakneck speed, always imbues its conflict with emotional weight and consequences. By the end of the series, you will feel the impact that the events of the series had on each character. But you will also feel the palpable love between them, even if you could never have guessed who will share a final drink together as a found family facing impossible odds as the end draws near. The women of 12 Monkeys merit special attention, but before turning to them, it would be remiss not celebrate the men of the story. At the center of the story is James Cole (Aaron Stanford), a man hardened by the kill-or-be-killed world of the future who travels to the past on a suicide mission in search of redemption; Jose Ramse (Kirk Acevedo), Cole’s childhood friend and found brother, who will find his ideas of family and loyalty sorely tested; and Deacon (Todd Stashwick), an often hilarious but menacing gang leader who has perhaps one of the most interesting arcs of the series. These men are allowed to be vulnerable and express their feelings to each other; they are capable of great acts of love and self-sacrifice and yet speak petty grievances out loud. In other words, they are characters who go to extraordinary lengths for the people that they love and the greater good (sometimes those objectives are at odds), but always feel decidedly human. The women. The women of 12 Monkeys are, simply put, amazing; they are brilliant, brave, flawed, and always evolving. The female characters of this story range in age from their 60s to their 30s – something which should not to be taken for granted in the current landscape of entertainment. Women serve as both protagonists and antagonists and, at times, swap those roles depending on the season. 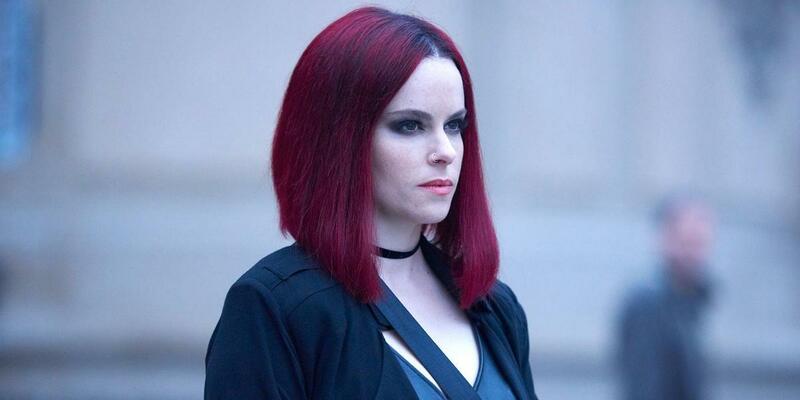 From the beginning, Dr. Katarina Jones (Barbara Sukowa), Dr. Cassandra Railly (Amanda Schull), and Jennifer Goines (Emily Hampshire) are fascinating, multi-dimensional characters. Later, additional intriguing female characters will emerge that are equally important to the story. The brilliant Jones begins as a singularly driven scientist intent on reversing the calamitous fate of mankind, no matter the cost. Cassandra, aptly named for the seer of future calamity of Greek myth, struggles to reconcile a moral code born of our time with the potential extinction of mankind. And then there is Jennifer. Oh, Jennifer. She is perhaps one of the most original characters ever on television. You may not always, in the moment, understand the workings of her mind but you will always appreciate her heart and humor. Jennifer’s struggle for self-worth and purpose are deeply moving even while her entirely unique persona will delight and confound you. There will be moments throughout this series when you may sit back in disbelief that so many women are driving the plot as it is hurtles toward its thrilling conclusion. Revel in it. This is a drama that empowers its women to have a full interior life and thrilling agency. The story of 12 Monkeys always circles back to question of whether the ends justify the means. Like all great science fiction, 12 Monkeys frames moral choices in a world that is, in part, set apart from our own and thus allows the viewer to set aside preconceived notions of right and wrong. The foundational event that causes Jones to invent time travel is a plague that kills seven billion people. Early on, Jones frames this ever-present moral dilemma as the following question: “[w]hat are the lives of a few people compared to the whole of human history?” With those seven billion, so goes human civilization – art, music, literature, and scientific knowledge are all lost. The show depicts the post apocalypse as one in which human beings are reduced to a near animal-like state of kill or be killed. And yet, time and time again characters will question whether, even given these stakes, the means are justified. The audience too will certainly be forced to ponder what each life is worth. This may seem like a familiar dramatic sandbox given the plethora of post-apocalyptic drama, but 12 Monkeys’ exploration always feels fresh and insightful for three reasons. First, the narrative never lets characters off the hook nor ceases to challenge their ever-evolving world view. One character may state what they believe is just and you can be certain that the events of the next season will turn their conclusions on their head. The show never forgets that point of view and life experience shape one’s moral conclusions. It is particularly fascinating when the world view of our time comes into conflict with those who are living after the apocalypse. Both “times” have a profound effect on the moral compass of their respective visitors and the resulting shifts in morality unfold in an organic and challenging journey. Second, while characters are constantly challenged with weighing the value of one human life vs. the “greater good,” they are often confronted with their own emotionally driven motivations. The choice is not always as simple as one versus the many, but rather “your one” vs. “my one.” Conflicts of values never feel like a thought experiment, but rather explore that moral decisions perhaps cannot be divorced from human emotion. Sometimes, that reality results in devastating consequences, and yet human emotion can also serve as an endless source of strength and bravery. We may (hopefully) never face the stakes that the characters of 12 Monkeys do during every episode, but much insight can be gained as we watch them grapple with their emotions and abstract notions of right and wrong. Third, like other currently airing sci fi dramas, The 100 and The Expanse, 12 Monkeys explores whether human beings are capable of “breaking the cycle” of violence and hubris that constantly results in catastrophe for our species. The post-apocalyptic world of the drama is caused by human actions; the real world import of that trigger given our realities of climate change and perpetual human conflict should not be lost on the viewer. Can mankind accept the consequences of its actions and avoid repeating the mistakes of the past? Is love a weakness or a strength? Is it naïve to think that love can triumph in the face of hate or nihilism? Can killing ever achieve a “good” result? These are questions that are constantly raised throughout the series and, in our dark current times, the final message of the finale will stay with you for a long time to come. At first glance, 12 Monkeys may seem like a straightforward story of preventing the apocalypse and the butterfly effect (or not) of altering past events. However, as the series unfolds, the series also explores fundamental truths about the human condition. Second, the show grapples with a fundamental truth of the human condition: that all things come to an end. Or as one character says to another, “there is a beginning and an end and all we are ever going to have is what comes in between.” And so it is for all of us. Throughout our history, humans have always tried to reconcile with our mortality through science, faith, art, and philosophy; with the fact that all living things die. Is time an enemy that thwarts our will and desires? Or, is time sacred because its passage gives our existence heightened meaning? If we could stop death, should we? Or would that compromise the essence of the human experience? Or is that just what we tell ourselves as a comfort because we cannot, in the real world, avoid the passage of time? And yet, despite these weighty and thought-provoking themes, 12 Monkeys will make you laugh and fist pump from your couch. Yes, a show about the apocalypse is actually a blast. There is a recent trend among some post-apocalyptic drama to dwell in misery. However, even in the worst of circumstances, humans need a reason to keep going. So, too, does the audience. 12 Monkeys never forgets its heart. The characters love each other and the narrative loves the characters. The interactions between friends, lovers, families (found and blood) – even when strained – are always grounded in their love for one another. The story celebrates all kind of love — familial, platonic, and romantic — and treats them with equal reverence. 12 Monkeys, even while pulling on your heart strings throughout its epic tale of love, sacrifice, and loss, never forgets to find lightness in the dark. If a show about the end of the world can make you grin from ear to ear and laugh out loud in the same hour that it makes you weep and sit in silence, the rest of television should take notice. The best of entertainment allows you to experience a cathartic range of emotions – love, sorrow, anger, anticipation, relief, and joy. 12 Monkeys, at its best, can do all that in a single episode. You will stop thinking about your world for an hour, and then carry its message back with you to your time.